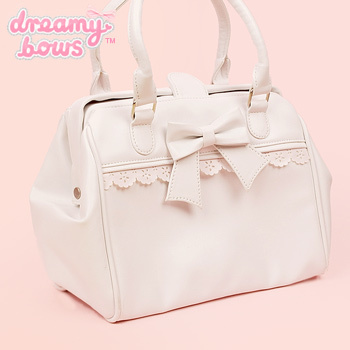 This bag is very spacious and cute, fitting a lot of different styles. 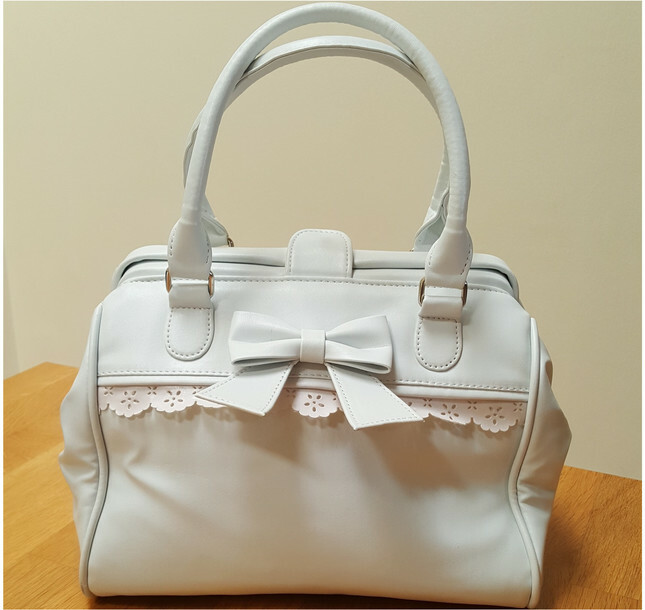 It comes with handles and a detachable shoulder strap. The framed opening makes it good for carrying all your things around, it fits for example a small bottle of water, phone, keys and wallet. 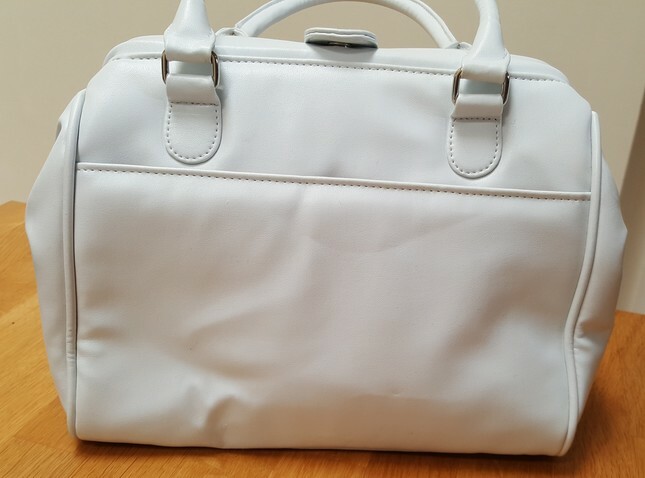 It closes with a button on top and has a pocket at the back. 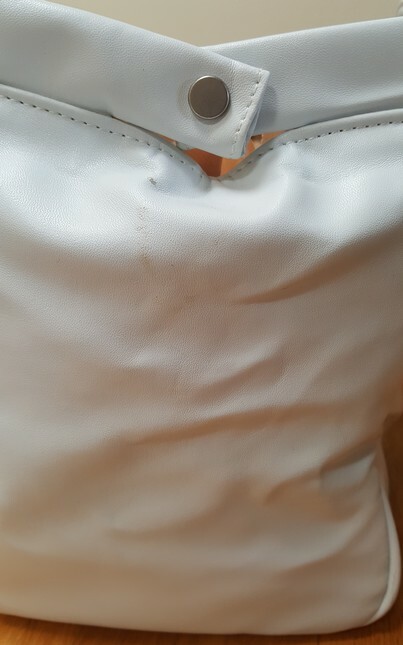 Inside there are two small pockets and a pocket with a zip. 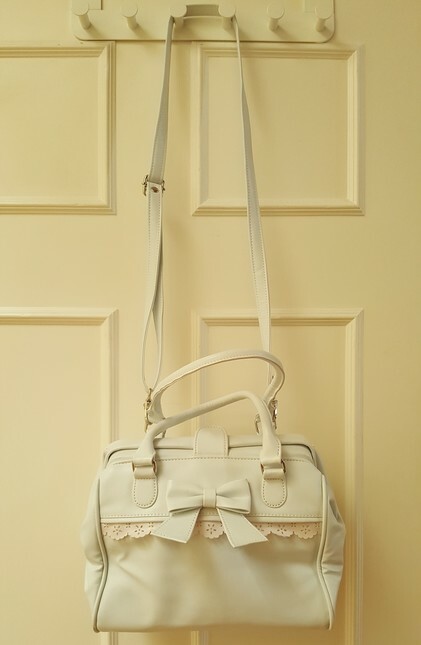 Material: PU(faux) leather, polyester, metal. Size (appr. ): 21cm high, 25cm wide, 15cm deep. 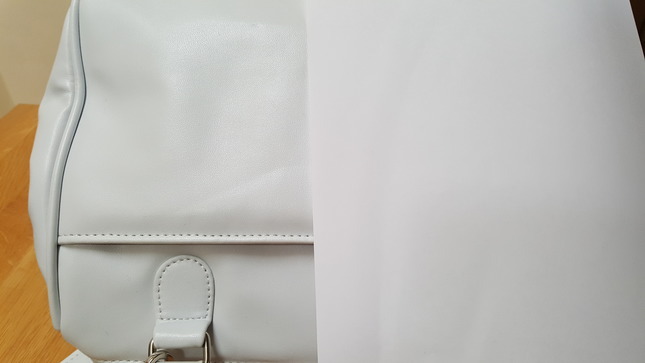 Colour: White with a gray-ish undertone (please see photo with a piece of paper for comparison). Condition: Good, I used it only a couple of times. 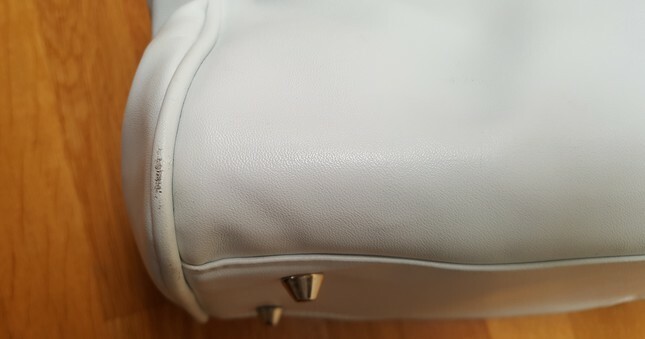 It's a bit squished from storage and there are some small scuffs at the sides where the leather folds when the bag is closed and a small scuff in the bottom left corner. Price: 15 GBP + shipping. - I ship from Scotland, UK - Payment by PayPal and with shipping to your registered address only - Please pay within 24 hours - if you need more time message me before buying / bidding and we can arrange something - Shipping with tracking only (due to PayPal regulations) - Shipping costs are not included, unless otherwise stated - I will ship worldwide, but this might be expensive. Please ask for a shipping quote before buying / bidding; I'm also not responsible for potential custom charges - I'm usually open to trades (for classic, gothic and oldschool), but I prefer to trade with tracked shipping and if we both use Paypal. Just message me :) - I don't have any pets and I don't smoke - Please comment or ask via message PRIOR to buying/bidding if there are any questions left!